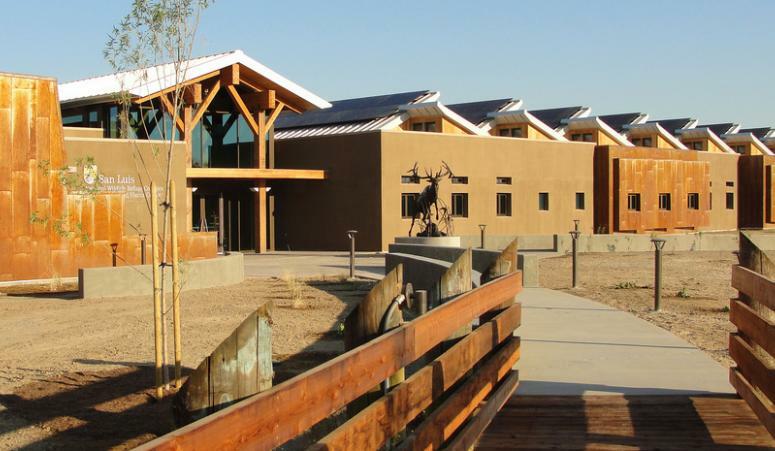 15,600 SF Net-Zero Energy use administrative offices and visitor center for education on local fish and wildlife habitat. This project received LEED Platinum Certification! 89,000 SF Energy Systems Lab facility for the Idaho National Lab. This project received LEED Gold Certification! | View Project: 10,130 SF visitor center and office building. 10,130 SF visitor center and office building. The building’s symbolic design and site plan references the region’s agrarian context and features local Texas limestone, integrated trellises, and canted windows for bird-strike mitigation and reduced solar heat gain. 32,000 SF, 3-story mixed-use building with 13,000 SF an underground parking garage. Recognized for excellence by Mountain States Construction. This project received LEED Silver Certification!